Where are the days when traveling required dressing up and great luggage? The iconic shoe that never went out of fashion. 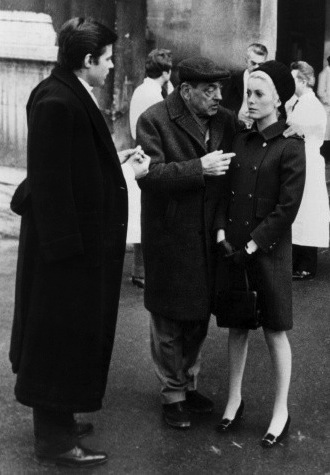 In the 1967 French film “Belle de Jour” directed by the great Luis Buñuel, the actress Catherine Deneuve plays a rich bourgeoise who secretly works in an elegant “maison close” (a brothel) during the day when her husband is at work. Her demure and elegant look is still so compelling today, but the most enduring part of her look are her killer shoes!